About the book: A poignant, dazzling debut novel about a woman who longs to be a mother and the captivating yet troubled child she and her husband take in. What is the cost of motherhood? 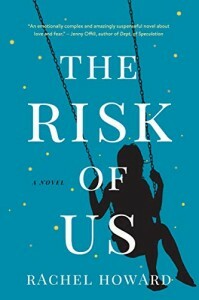 When The Risk of Us opens, we meet a forty-something woman who deeply wants to become a mother. The path that opens up to her and her husband takes them through the foster care system, with the goal of adoption. And when seven-year-old Maresa—with inch-deep dimples and a voice that can beam to the moon–comes into their lives, their hearts fill with love. But her rages and troubles threaten to crack open their marriage. Over the course of a year, as Maresa approaches the age at which children become nearly impossible to place, the couple must decide if they can be the parents this child needs, and finalize the adoption—or, almost unthinkably, give her up. 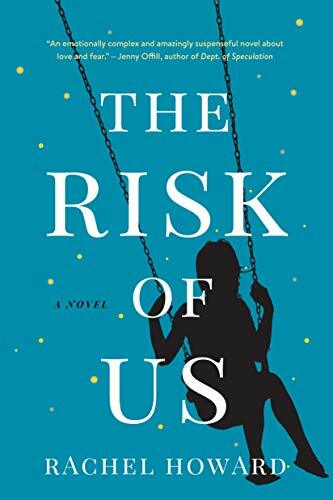 For fans of Jenny Offill and Rachel Cusk, The Risk of Us deftly explores the inevitable tests children bring to a marriage, the uncertainties of family life, and the ways true empathy obliterates our defenses. About the author: RACHEL HOWARD earned her MFA in fiction from Warren Wilson College and is the author of a memoir, The Lost Night. She is the recipient of a MacDowell Colony fellowship, and her fiction, essays, and dance criticism have appeared in the San Francisco Chronicle, the New York Times, the Los Angeles Review of Books, and elsewhere.